esterday was so wonderful that spent a great deal of time on the fields. Everything suddenly takes off once the sun shines. The Sedum is looking so healthy and we have so much this year. The shed pack is still doing very well and only has a week or so to run before it will be off so hope everyone is taking advantage of it! Don’t forget you can do a Sedum roof with plug plants or even lay an area in the garden where grass has difficulty with Sedum, and it will cover all sorts of difficult areas. Now that we can get the tractors on the ground again we can lay the other fields which we intended to do weeks ago. I can’t believe it but actually saw Matty watering yesterday! Otherwise all quiet and just the usual farm rush to get the grass in while it is dry. You think it is quiet in the country but yesterday the tractor noise of everyone in the area rushing to get the grass in was deafening! My new peacock flew off the other day so picked up another one yesterday. Such a shame to have to lock them in for so long but it is the only way to make them stay. At least they have a pen they can get out and sun bathe! Its amazing that as soon as the sun comes out the sales go sky high. We have been non stop on the phones. If you ever ring and have to leave a message its because Juliet is on the phone to someone! She complains we need more staff but we do ring back so just leave us a message. We try very hard to offer a good and reliable service. 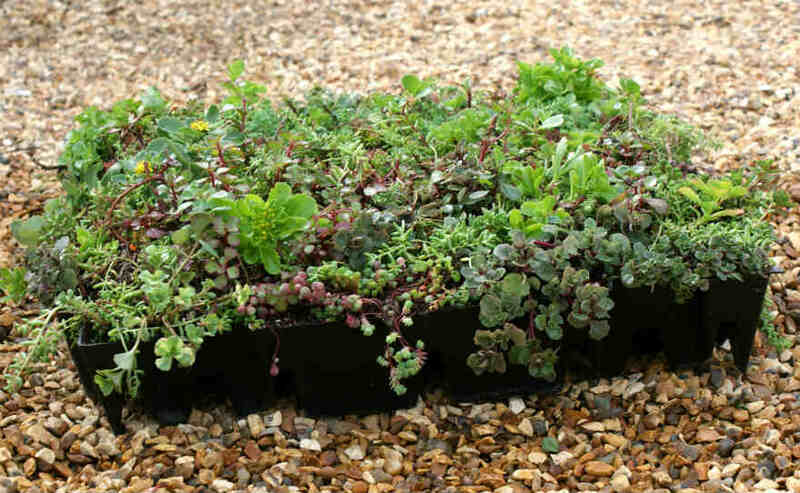 All our Sedum is top quality and we offer full consultation and advice throughout a sale all for free! Its a new industry and everyone needs help so just ring us if you need any advice on Green Roofs, Sedum, plug plants or anything about sustainable roofs.